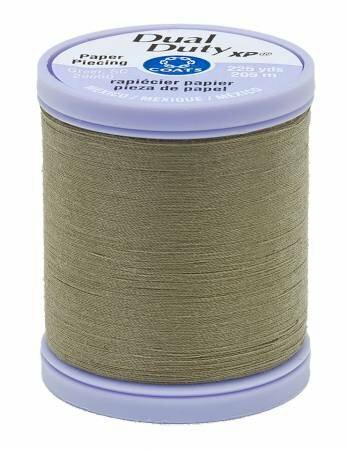 This thread is fine yet strong which is perfect for foundation paper piecing or English paper piecing. The fine weight (equivalent to 60 wt. threads) will be strong enough to allow foundation papers to be removed from the block without adding bulk to the seams. For English paper piecers, this thread holds up to the stresses of being scraped against the papers while still holding its own. 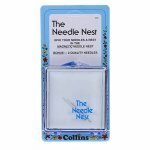 Recommended needle size: Size 9 machine needle or 9,10, or 11 hand sewing needle. This is a polyester covered polyester thread and has 225 yds. per spool. Poole's Preference: I like this thread above others I have tried. I am a fundamentalist when it comes to thread selection. I was "cotton only" without question until I found this thread. When using it for EPP (English paper piecing), it does not have the "springy" effect like other polyester threads. Also, it does not fray as badly as other polyesters. Because it is a wrapped polyester filament thread, it doesn't aggressively pull the fabric of your EPP project. It's been wonderful for my Dear Jane project!